If you happen to have sensitive skin, you will have to pursue certain remedies to gain relief from razor bumps. 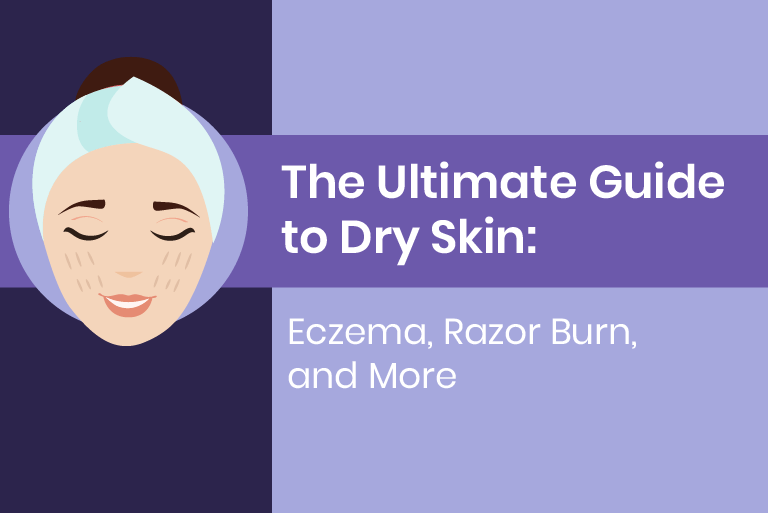 What follows is a look at what sensitive skin is and how to deal with razor bumps. Sensitive skin is a term that generally refers to anything, such as topical products, that causes skin irritation. Understood in this light, anything from the sun, wind, perfume, detergents, and other things can lead to sensitive skin problems. Of course, there are some products, such as oven cleaner or other harsh chemical products, that will have an adverse impact on anyone if it gets on their skin, so the term sensitive skin can sometimes be a bit ambiguous and imprecise. Allergic reactions can also lead to sensitive skin since they may cause itchy boils. While the symptoms can be minor such as a bit of redness and itchiness, they can be serious to the extent that epinephrine or other medications may need to be taken right away. It’s also important to know that two people with sensitive skin might be adversely impacted by different things. So while one person might have a negative reaction to using perfume, the person might be unaffected by using perfume but could have a negative reaction to something else. It’s often said that an ounce of prevention is worth a pound of cure — and this is definitely true when it comes to razor bumps. Indeed, there are things you can do to improve dealing with razor bumps. One solution is Tend Skin® Liquid, which will help you to improve the appearance of ingrown hair and razor bumps. When it comes to shaving, ensure that the razor works as well as would a new one. If it doesn’t, you need to replace it since a less than ideal blade will cause skin irritation. In the event that you’re shaving your beard, be sure to first dampen it with warm water, which will soften the hair and cause less irritation when shaving. Before shaving, however, use a shaving gel that has a silicone base so that you can help prevent irritation during the saving process. Be wary of using clippers to shave. Even though they are designed to cut your hair above the skin level, so as to avoid things like razor bumps, they won’t completely eliminate razor bumps especially if they tug at your skin. You also need to be wary of certain chemicals. For instance, depilatories are substances that use a lye ingredient to dissolve hair. The problem is that that such products will cause skin irritation as the chemical makes contact with your skin. So if you have sensitive skin, be sure to steer clear of this sort of product. If you use Tend Skin Liquid®, however, you can shave without having to worry about razor bumps showing up right after shaving. Also be wary of kits available for sale that, in addition to coming with a hefty price tag, won’t produce results that are above and beyond what you can achieve if you simply apply warm water to your beard before shaving. Also be skeptical of disposal razors that include so-called scalloped edges designed to ride over bumps. Such razors don’t work since razor bumps on your face will not be perfectly lined up in a way that would make the disposable scalloped-edges razors effective. Less is often times more when it comes to dealing with razor bumps, so don’t be fooled into spending more than you have to to treat the skin condition. The Tend Skin® Air Shave® Gel product, a silicone based shaving gel that safeguards skin, will provide all the protection you need at a fair price. As for Tend Skin® Liquid, you will get best results if you use it two times a day. For instance, you can use it in the morning after you shave, and be sure that you dry your skin afterwards. Then you can repeat this process at night. You’ll see noticeable results in terms of the clearing up of bumps within a few days. After you see the results, you can reduce to one from two the number of times daily to use the product. Yes, you can treat razor bumps if you have sensitive skin. The tips above will get you on the right course.